JEEBELY is a Jordanian company founded by a group of talented young entrepreneurs who have extensive experience in the service sector. The company provides transportation services for goods and food products by forming a strategic partnership with its customers based on professionalism. Where it seeks to deliver orders to customers through the easiest and most modern ways, to achieve the highest satisfaction rates for its customers. 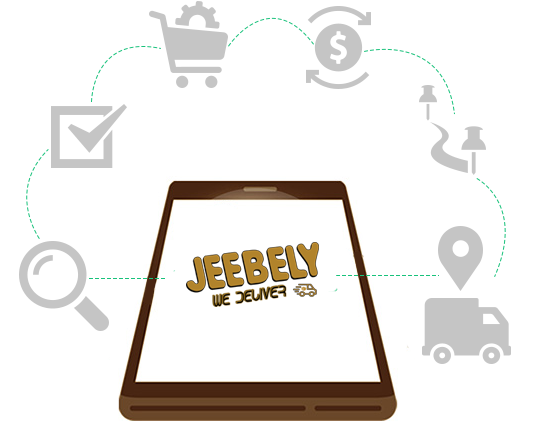 JEEBELY provides online ordering of goods and food products, and smart phone application that aims to serve the customers to get their needs in a simplest way and from the best shops in the region.